Winter is harsh in the northern regions of Japan, but that's just how locals and travelers seem to like it. The snowy season is endured, but also celebrated - particularly in the mountainous region between Miyagi and Yamagata Prefectures, where Zao Onsen can be found. 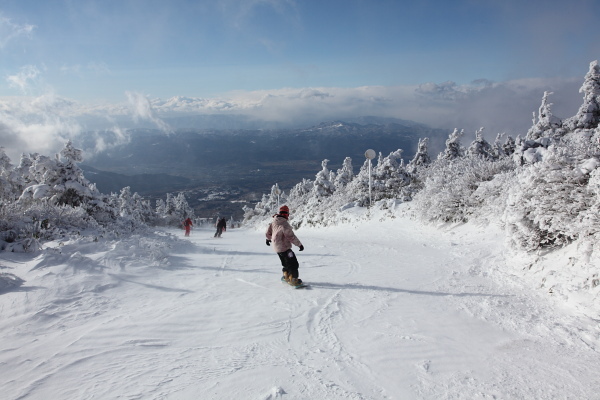 Zao's top attractions, hot springs and skiing, can be enjoyed together long after the cherry blossoms have finished blooming in Tokyo. While the area's famous, oddly-shaped, snow-covered trees known as "snow monsters" have melted away by March, the Zao Hot Springs Ski Resort stays open until the end of April. 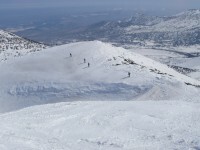 A large-scale resort, Zao offers 15 different slope areas divided into more than 30 named and unnamed courses and connectors that can be strung together for a single run as long as 6 miles. 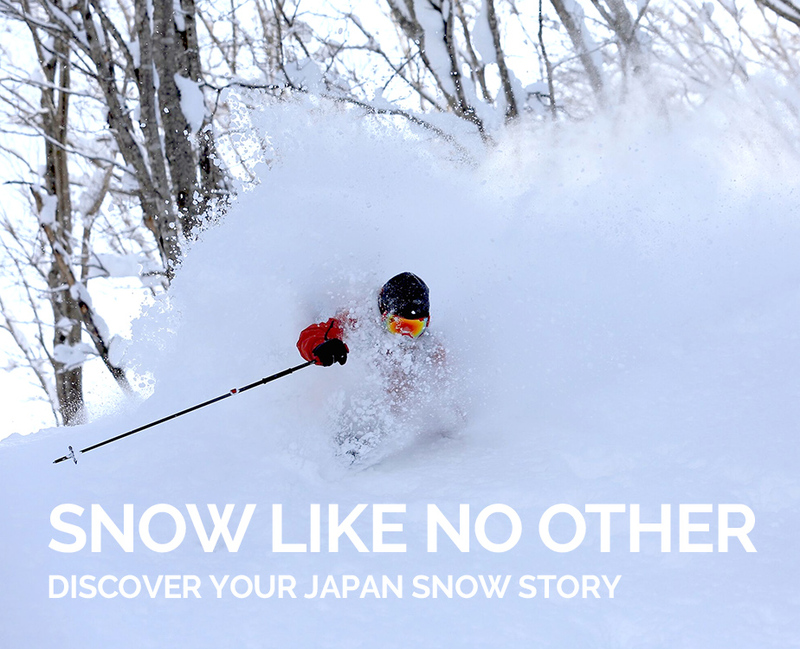 Attracting beginner and expert snow-hounds from across Japan as well as overseas, visitors can find everything here, from ski schools to a snow park with massive jumps for adrenaline junkies, and even snowshoeing tours. While the 30-degree Omori Wall tends to close early in spring, fearless mountain munchers can still attempt to conquer the brutal 38-degree Yokokura Wall late into the season. Open: Early December until late April. As the snow continues to melt, visitors are able to access Zao's most popular green-season wonder, a volcanic crater lake known as Okama - a name based on its resemblance to a giant Japanese cooking pot, or kama. Surrounded by three mountains, the emerald green lake is said to change its hue with the angle of the sunlight. 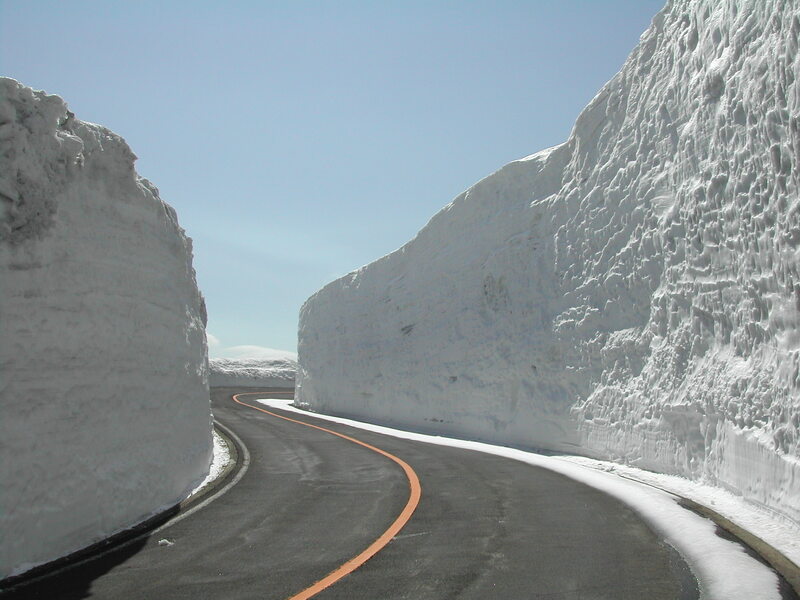 Getting there is half the fun: The area has so much snow that the Zao Echo Line roadway used to reach the top may not open until spring, and remains bordered by snow on each side even through May. A portion of the road popular with tour buses features snow piled two stories high on either side. From the Zao Echo Line, use the Zao High Line toll road to reach the crater. A restaurant, viewing deck and parking are available on-site. 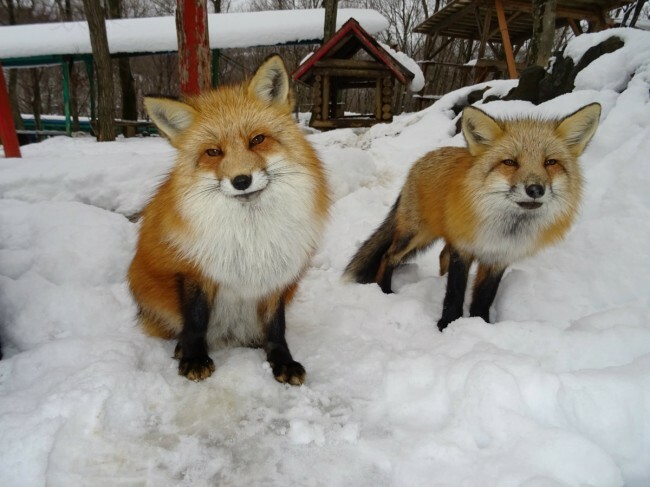 Wrap up your trip to Zao with a once-in-a-lifetime experience at Zao Fox Village (Zao Kitsune Mura). Located just across the border in Miyagi Prefecture, more than 100 foxes of six different varieties call this place home. The main area features free-roaming foxes inside a forest village of small fox "houses" and, appropriately, a shrine dedicated to the fox-god Inari. A few of the foxes are kept in small cages, while others approach visitors freely on the grounds. Those looking for the perfect souvenir to bring home should look no further than the kokeshi doll. Traditional wooden kokeshi dolls have a strong association with hot springs in Japan's northeastern Tohoku area, with regional designs distinguishing themselves over time. The kokeshi dolls in the Zao area have slightly rounded shoulders, a thick torso decorated with paintings of chrysanthemums and safflowers, and feature a distinctive large head inserted into the body. 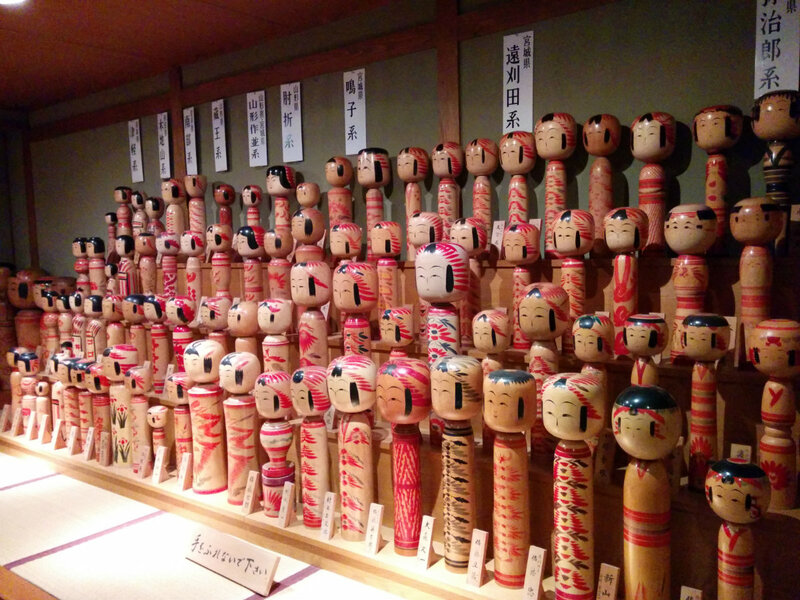 While kokeshi can be found in souvenir shops aplenty, interested visitors can learn about the tradition - or try it out for themselves - at the Miyagi Zao Kokeshi Gallery.